Central Book Shop in Ameerpet is two floors full of books, quirky stationery, and board games. Plus, they've got cutesy tote bags and sling bags that are perfect for teenage gals. We were quite taken by surprise when we checked out Central Book Shop because its top floor opens to a really large area of books with a seating area. Resembling a modern (but not thaaaat huge too) library, this shop grabbed our fancy right from its first aisle where we picked Crazy Rich Asians by Kevin Kwan and Killing Commendatore by Haruki Murakami. The bestsellers and latest releases are stacked at the centre, and the store even stocks up lesser-known tomes in its new releases section. And we think, that's what makes it awesome. 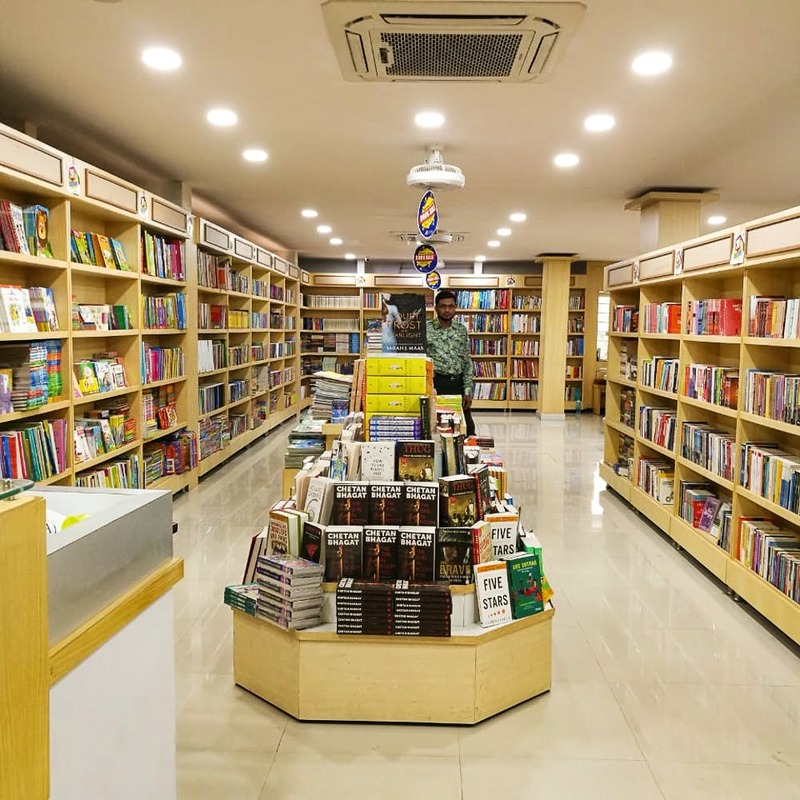 The whole floor is spread with aisles and aisles of comics, children's books, Young Adult Fiction, cookery books and non-fiction along with regional literature, and one entire section caters to textbooks and competitive examination books alone. So, if you're looking for study material you know where to go. The ground floor is mostly for stationery (score super cute washi tapes and journals) and board games. It's like walking right into a board game and toy shop frenzy. Although they've also got a gifting section, it has nothing striking! While we'd really like to see some graphic novels at the store, we'd love to see better service. At the moment, the bookshop is running a 20 per cent off on all books. Plus, there is a 50 per cent off on classics like Heidi, Wuthering Heights, Sense & Sensibility and a few books by Roald Dahl and other writers.